Not too long ago, all Pakatan Harapan and especially the Chinese dominated DAP party could talk about was the pink diamond ring. They said United States Department of Justice is investigating it as part of the 1MDB scandal. Rosmah Mansor bought it with stolen funds from 1MDB. The ring cost most then RM 100 million. They spoke about it on a daily basis and it was on every cartoon drawn by Pakatan Harapan aligned cartoonist, Zunar. It has since been revealed that Rosmah Mansor did not purchase the ring and it was merely viewed by here and that it was brought in and out of the country with Royal Malaysian Customs validating it. It was also not found among the possessions of Najib Razak and Rosmah Mansor when their properties were raided by the police. In short there was no evidence that Rosmah had acquired or purchased or was given the pink diamond ring other than what was suggested by DAP’s perception engine. The story so ridiculous and yet it was mentioned in The Australian news article. Facts apparently rarely can match sensationalism. While Pakatan Harapan leaders where mute to the revelation at parliament it didn’t stop the tongue wagging by their supporters. “She said that she saved from young for that ring” claimed one supporter on Facebook referring to a comment made in sarcasm to a query about the ring from the media. While others linked Rosmah to the Altantuya murder. Some suggested that the pink diamond ring was mentioned in the DOJ filings. It wasn’t. The problem with Pakatan Harapan is that they disseminate vague statements such as “1MDB is a bottomless pit”, “Malaysia is now 90% corruption free” or “42b missing from 1MDB” without bothering to back it up. This innuendos and fake news are then lapped up by the awaiting masses who don’t fact check anything. Ironically this is now working against Pakatan Harapan. They are struggling to prove that money was “stolen” from 1MDB and it was done by Najib Razak. They couldn’t prove Rosmah Mansor had purchased the ring from 1MDB money much less she owns the ring. Added with the dwindling economy, new taxes to replace GST, cost of living issues, Pakatan Harapan is more than likely to be a one term government. At the end of the day, scandals mean nothing if the country can’t be run efficiently. And it isn’t. 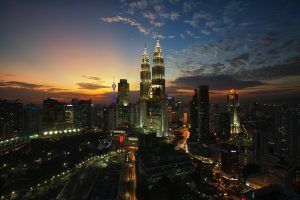 Malaysia drops sharply in World Happiness Report (WHR 2019) ranking. Claire – Hadi lawsuit raises questions on Pakatan Harapan’s credibility. New Malaysia Herald brings you the latest high quality and independent Malaysian and international news. © Copyright 2018 - 2019 New Malaysia Herald.